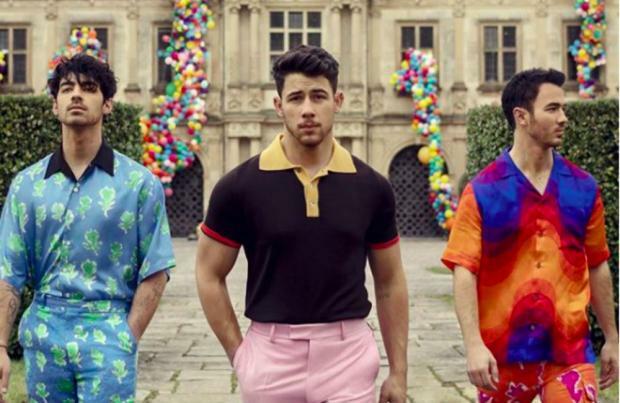 The relationship between The Jonas Brothers was so troubled after the band imploded that they needed to focus all of their energy on restoring it and getting the band back together was considered "impossible"
The relationship between The Jonas Brothers was so bad after their 2013 split that they never thought they would reconcile. Speaking after their surprise reunion this week and release of new single 'Sucker', he told Z100's Elvis Duran : "When it ended it was not good. It was a couple years of rebuilding our family, and in our mind it seemed impossible for us to do this ever again." Joe, 29, added: "We had to work through and understand what we were going through when we were that young. It was interesting because for so many years we just put it under the rug. We said, 'We're done, let's just try to rebuild our friendship and our relationship as brothers' – it just happened in its own time." And it was a documentary, which Kevin, 31, compared to "therapy", that helped the brothers decide to revive the band. He said: "It was great because we had to have real conversations and not hold back. So for us, it worked out in a good way." Nick added: "We spent a lot of time filming again, and then I think we saw that there was a magic there we missed. I sort of began the conversation about doing this again and after a few more conversations they came around... Thankfully, some good healing happened during filming this documentary. Now looking up almost a year later, we're in the best place as family, which is the most important thing. From there, this music and new chapter have just been incredible."